Benicia High School’s Shelly Avelino looks up to former Panther star Forrest Molinari, who now wrestles at the college level for King University in Tennessee. King recently won the Women’s Collegiate Wrestling Association National Championships, as the Tornado took their fourth straight title. After winning an individual national title last season, Molinari took second this season. Avelino doesn’t need to scroll down her cell phone directory for advice this week as Molinari is in town and at practice this week. 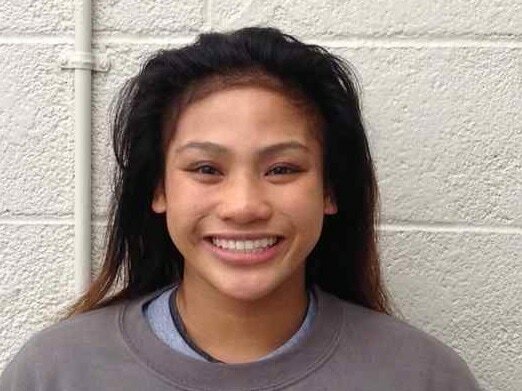 That could be good news for Avelino, who beat Del Oro’s Kaleigh Burrage 9-4 in the Sac-Joaquin Section Masters 137-pound championship on Saturday in Stockton. She heads to the CIF State Championships in Visalia this week, trying to win her first California title. She is the Times-Herald’s Athlete of the Week. Avelino pinned Burrage in the second period two weeks ago at the section’s regional tournament at Natomas High. Burrage made some adjustments to try and gain the upper hand this time around. Coach Craig Holden said Avelino was ready despite Burrage’s change of strategy. The Masters title was Avelino’s third of her career as she won it freshman and sophomore year as well. Avelino could see one of the division’s other top wrestlers in Jenna Garcia of Notre Dame of Salinas at state but Garcia is on the other side of the bracket so the two wouldn’t see one another until a potential final. Avelino could see Nordhoff’s Mikayla Miles, the Southern Section champ and No. 2 overall seed, somewhere in the tournament. Avelino is a three-year Springstowne Wrestling Academy wrestler. She said that experience with youth wrestling prepared her well for high school wrestling. Avelino is pleased to have Molinari around this week to bounce ideas off. • Bryan Ayala and Jose Lopez (American Canyon soccer) Ayala had three goals and Lopez picked up his eighth shutout in league play as the Wolves beat Fairfield to clinch a share of the league title. • Gerald Belantes (American Canyon wrestling) took first place at the divisional tournament to advance to Masters. • Ryley Boutain, Alejandro Lanza, Fernando Lanza, Steven Butts and Koe Alava (Benicia boys wrestling) all took first place at the divisional tournament to advance to Masters. • Adrienne Dominguez, Angelina Ramirez and Nikki Mae Sumagang (American Canyon girls wrestling) all advanced to state in Visalia. Dominguez was third while the other two were fourth overall. • Gamon Howard (American Canyon basketball) scored a team-high 16 points as the Wolves beat Fairfield to clinch a playoff spot. • Raul Ibarra and Juan Perez (Bethel boys soccer) each scored two goals as the Jaguars beat Vanden to clinch a co-league title, their first in school history. • Kaylan Lockrem (Benicia basketball) scored 15 points and added 14 boards in a win over Vallejo. • Tara Othman and Ali Smith (Benicia girls wrestling) both moved onto the state tournament in Visalia by placing at Masters. Othman was third and Smith was fourth. • Trey Pugh (Benicia basketball) scored a game-high 22 points as the Panthers beat Vallejo to clinch a playoff berth. • BJ Standley (St. Pat’s boys basketball) scored 24 points in a win over El Cerrito and 23 more in an overtime loss to Salesian in the league final. • Wanapaleia Wong (St. Pat’s girls basketball) scored 19 points and had five steals in a one-point loss to St. Mary’s in the league semifinals.